Lunar New Year was on Tuesday but the big celebrations are this weekend. Here’s your guide to all Lunar New Year celebrations and other top events around town this weekend. 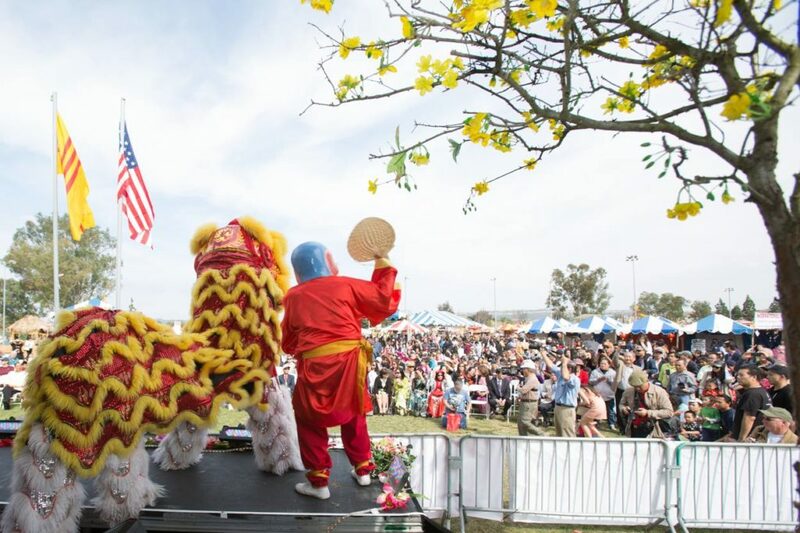 Celebrate the Year of the Pig with the 14th annual San Diego Tet Festival, a celebration of the Vietnamese New Year, in Mira Mesa. This year’s theme is Spring Memories. As the Lunar New Year indicates the arrival of spring, organizers want you to remember great memories of past springs and create some new memories. The three-day festival features live entertainment, a cultural center, plenty of food vendors and carnival rides. Visitors can also expect the Miss Vietnam San Diego pageant and the popular lion dance. Returning through popular demand is the pet costume contest. The free festival takes place at the Mira Mesa Community Park from 5 p.m. to 10 p.m. Friday, 11 a.m. to 10 p.m. Saturday and 11 a.m. to 9 p.m. Sunday. Celebrate the Year of the Pig this weekend at the House of China’s festival this weekend. The event features cultural performances, kung fu, lion dance, red envelope, dumplings, steamed buns and calligraphy. The Chinese New Year Festival goes from 11 a.m. to 5 p.m. Saturday and Sunday at the House of China in the International Cottages at Balboa Park. Get into the Lunar New Year mood with dance showcase that takes you on a journey through China’s 5,000 years of culture. Chinese legends will spring to life in this dazzling dance and acrobatic show. The melodies and dynamic backdrops will transport to another world. Shen Yun plays at California Center for the Arts Escondido through Feb. 17. Tickets start at $80. Have some fun under the big top as Circus Vargas returns to San Diego this weekend. The circus is celebrating its 50th anniversary and the golden era of the circus in America with acrobats, daredevils, flying trapeze artists, jugglers and contortionist performances. Circus Vargas will be at Westfield Mission Valley through Feb. 18. Show times vary and tickets range from $15 to $72. Kids age 2 and under are free with an adult admission. Valentine’s Day is just around the corner and nothing says love like chocolate. The “For the Love of Chocolate” Escondido Chocolate Festival is happening in Downtown Escondido this weekend. At various participating restaurants, shops and spas, you can sample chocolates that are paired with local fine wines and craft beers. The Chocolate Festival goes from 1 p.m. to 5 p.m. Saturday. Tickets range from $30 to $50. San Diegans love their beers and they also love to help a good cause. This weekend, Bagby Beer Co. in Oceanside will host its 10th annual Brewbies Craft Beer Festival in support of breast health education. The festival features beer from more than 40 breweries with 100 percent of the proceeds go to Keep a Breast Foundations.